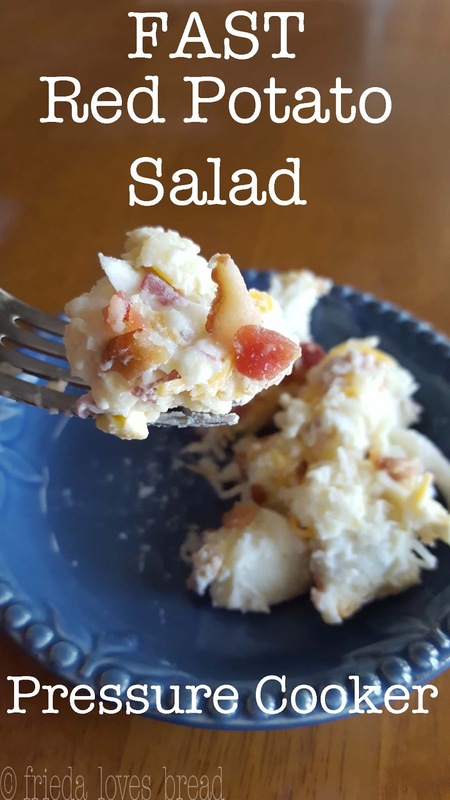 Potato Salad - it's a classic side dish for any summer gathering. Creamy, cold, bursting with flavors that are sure to please everyone. This recipe doesn't use mustard, which is a great option to have for those who prefer not to have mustard. It's even easier and faster to make with a pressure cooker! You use less water, don't need to peel your potatoes, and cook the eggs and the potatoes at the same time! If you don't have a pressure cooker, I've included a stove top version, below. Red skinned potatoes are a great choice to use with a potato salad, as their skins are smooth, thin and basically unnoticeable texture-wise. So, save yourself the time and extra step of peeling potatoes! Another great thing about using Red potatoes is that they hold their shape well, don't turn to mush when properly cooked, and absorb flavors well. Want to use a different type of potato? Waxy potatoes are better than starchy. Red, New, Fingerling potatoes are the most common waxy potatoes, having thin skins and keep their shape due to their high moisture content in the salad without turning mushy. White, Yukon Golds are in-between waxy and starchy. They will work well, as long as they are not overcooked. Stay away from thick skinned potatoes, like Russets, which fall apart. These are better for making perfect, fluffy baked potatoes or creamy mashed potatoes. 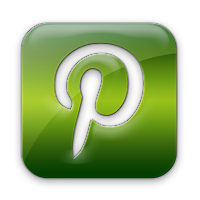 Here is some great information of 13 different types of potatoes, and how to use them, from the Huffington Post. One of the keys of pressure cooking veggies is to keep your cuts/size as uniform as possible. In this case, we want 1/2" cut potatoes. This way, you won't have over or under/cooked potatoes. First, slice your clean, scrubbed potatoes in 1/2" slices. 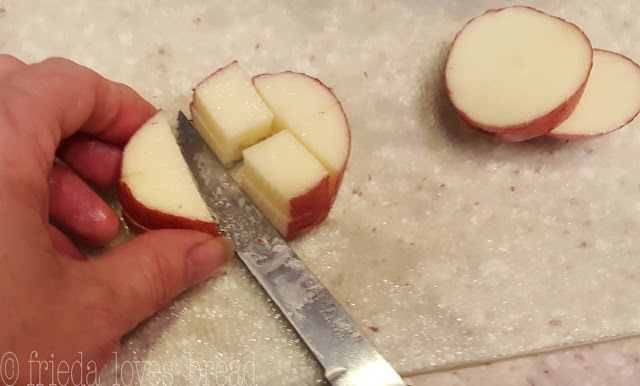 Turn the slices cut side down and make a horizontal cut through the middle of the potato. Then make cuts every 1/2" across the potato. This large RSVP strainer basket is perfect for holding 3 pounds of 1/2" cut potatoes and 4 xlarge eggs. 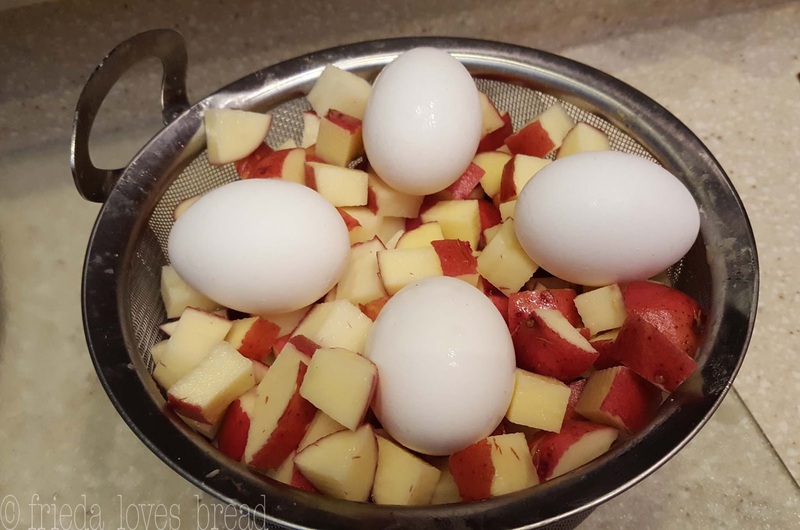 You will need to bend the handles up with locking pliers, or break them off to fit into the pressure cooker, but It is such a time saver to be able to cook your eggs and potatoes at the same time! Put the 1 cup of water into your pressure cooker, set the strainer filled with cut potatoes, eggs on top, and lock the lid. Close the pressure valve and cook on HIGH for 4 minutes. While your potatoes/eggs are cooking, you can dice your onion and celery. When the cook time ends, open the pressure valve to quickly release any pressure. Using tongs, remove the hot eggs and place into an ice water bath. This stops the cooking and prevents the dreaded green/gray ring. Pour the hot potatoes into a large bowl. I am using my EuroCuisine Yogurt strainer bowl, as it holds just the right amount and has a fitted lid. One trick my mom taught me was to sprinkle vinegar over my warm potatoes, which soaks into the potatoes and gives it a great tang. I am using apple cider vinegar for this recipe. If you are using Miracle Whip, you can omit using vinegar, as it is already included. Mix your mayo, sour cream (or homemade yogurt!) and 2 Tablespoons of milk. The milk helps keep the mayo mixture creamy. Fold into your warm potatoes. I'm really enjoying this ready made bacon that I found at Sam's Club. 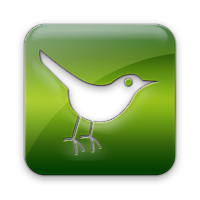 It is found on the shelf and it's a another great time saver. It's currently in my fridge, but I plan to portion it and freeze, which should keep well for 3-6 months. You can find the Costco brand here on Amazon. Fold in your bacon crumbles, onion, celery and finely shredded cheddar cheese. Almost sounds like a baked potato, right? Hey, you can use finely chopped green onion instead of a yellow or white onion. I couldn't find a large bowl, but my EuroCusine yogurt strainer bowl and lid are perfect! It's nice to find another purpose for this fantastic yogurt strainer. It looks really creamy right now, but the potatoes will soak up all the great flavors. If your potato salad looks a little dry, you can add some more mayo/milk. Salt and pepper to taste. Peel your eggs. This is my favorite way to quickly chop hard cooked eggs. 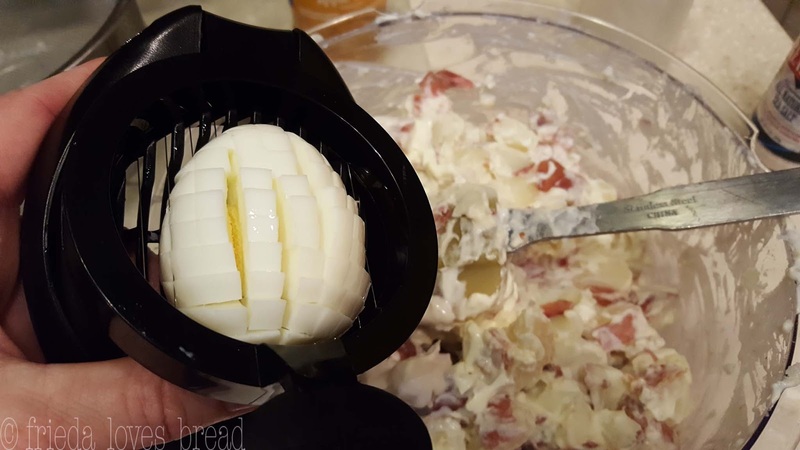 Use an egg slicer to slice the eggs in one direction. Carefully pick up the sliced egg and rotate it 90° and slice again. Voila! Chopped eggs with no mess! Chill overnight for best melding of flavors. Tip: If you need your salad super duper quick, spread it out onto a cookie sheet, cover, and put into the freezer for 30 minutes. Check, give it a stir and some more time, if needed. Don't leave it in the freezer for more than an hour, so set a timer or write a large note/reminder and post it where you can see it. Need potato salad in a hurry? Use your pressure cooker to cook the potatoes & eggs at the same time and use the Quick Chill tip to cool your potato salad in 1 hour or less. 1. Pour 1 cup water into your pressure cooker.2. Set your trivet, steamer basket or mesh strainer into your cooker. 3. Place 4 whole eggs (in shells) on top of the potatoes.4. Close the lid, pressure valve, select HIGH pressure and the timer for 4 minutes.5. When the cook time ends, open the pressure valve for a Quick Release.6. Using tongs, remove the eggs and put them in a bowl of ice water.7. Put the hot potatoes (no water) in a large bowl.8. Sprinkle the apple cider vinegar over the hot potatoes; stir.9. In a small bowl, mix together mayo, sour cream and milk till creamy. 10. 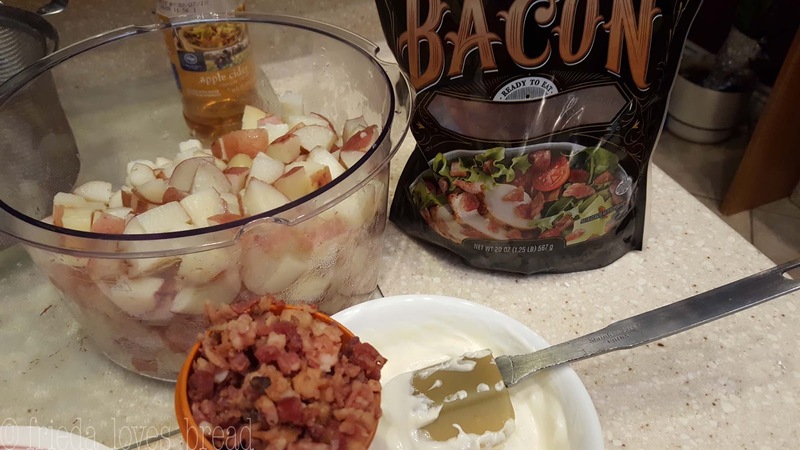 Carefully fold the mayo mixture into the potatoes, a little bit at a time.11. Add chopped onion, celery, bacon and cheese and gently fold to combine. Salt & pepper to taste. Chill over night for best flavor. Serve.QUICK CHILL: Spread potato salad in a single layer on a cookie sheet. Cover and place in the freezer for 30 minutes. Check, stir and chill for another 20-30 minutes, if necessary. 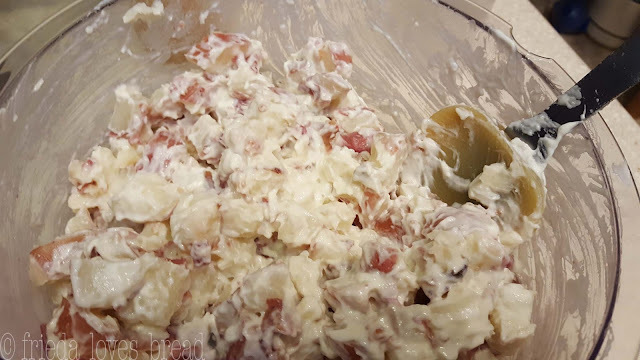 Do not leave your potato salad in the freezer for more than 1 hour.Recipe can be cut in half, but keep the 1 cup water and pressure cook time the same. Sweet baby red potato skins are so thin, that you can skip the peeling. Bacon & cheese complement the salad and is a crowd pleaser. In a hurry? 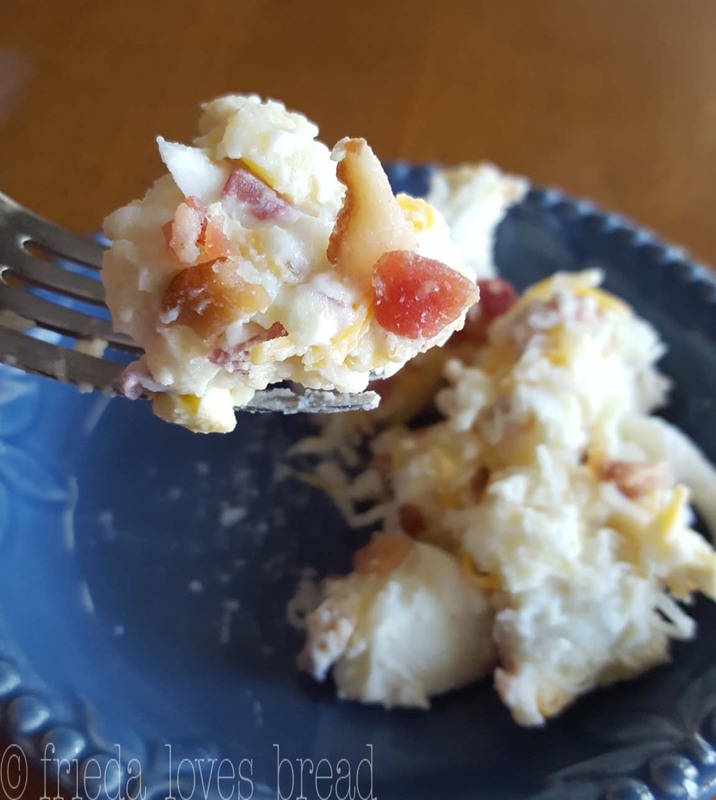 Use the Quick Chill tip to cool your potato salad in 1 hour or less. 1. Bring a large pot of water to a boil 2. Add your potatoes and cook until tender, about 10-15 minutes. Stick a fork in potatoes to test for doneness. Fork should go in easily and the potato should not fall apart. 3. Drain potatoes, put into a large bowl, sprinkle apple cider over the hot potatoes, stir.4. Place eggs in a medium saucepan and cover with cold water.5. Bring water to a boil, cover, and remove from heat. Let sit for 10-12 minutes.6. Remove eggs from water and put into an ice water bath to chill.7. Cook, drain and crumble your bacon. I like to use kitchen scissors to cut the raw bacon, then cook.8. In a small bowl, combine the mayonnaise, sour cream, onion, celery and milk. Stir well.9. Gently fold the mayo mixture into the warm potatoes. Add bacon and shredded cheese. Salt & pepper to taste.Chill over night for best flavor. Serve.QUICK CHILL: Spread potato salad in a single layer on a cookie sheet. Cover and place in the freezer for 30 minutes. Check, stir and chill for another 20-30 minutes, if necessary. Do not leave your potato salad in the freezer for more than 1 hour.Recipe can be cut in half.